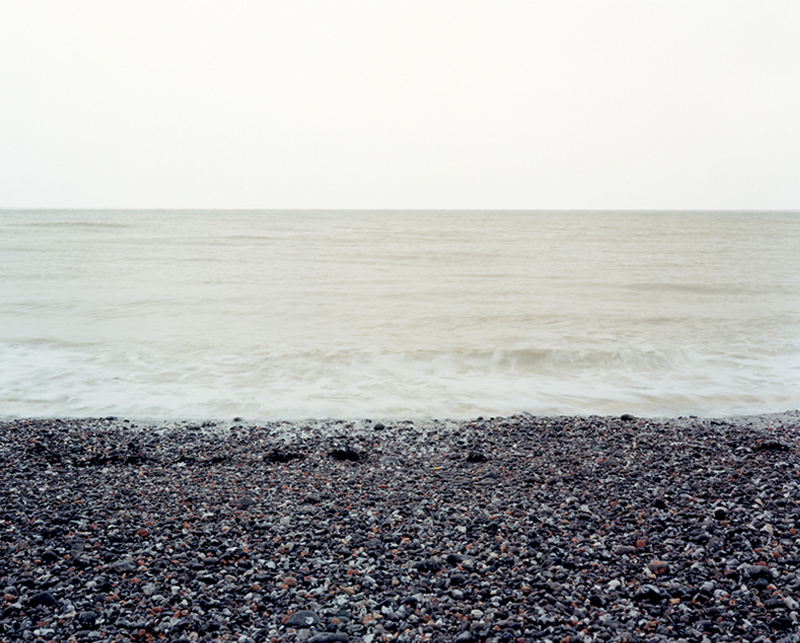 Beach Grid x 16, Sussex, England 2003. 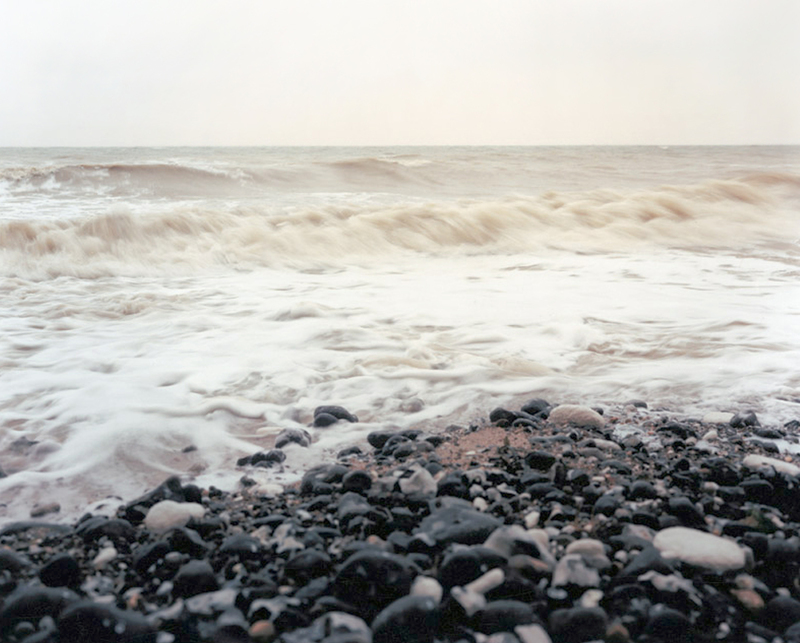 Mike Perry’s photographic series, Beach, records seashore scenes from an unassuming stretch of England’s South Coast. 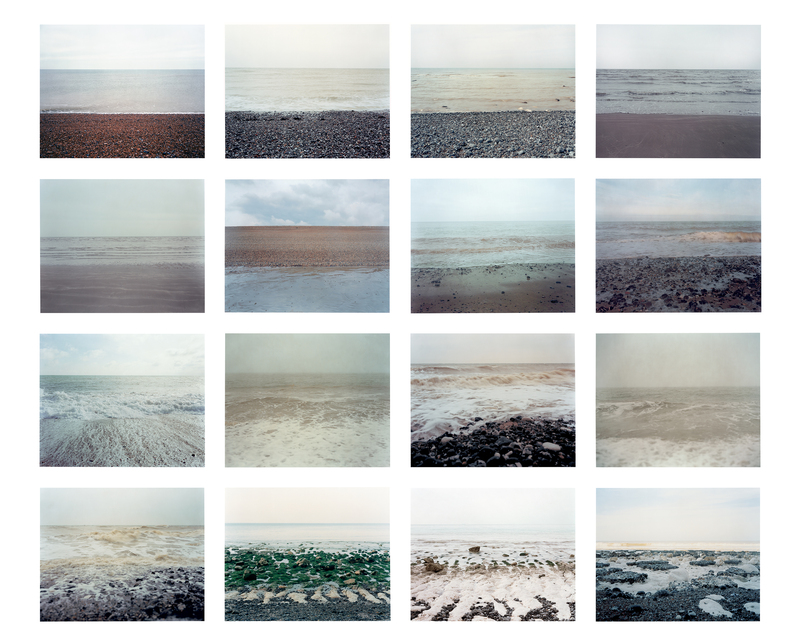 These images depict neither moments of extreme drama or beauty but do seek a resolutely objective take on the surface of the beach which is being photographed. His interest lies in depicting the surface detail of the landscape, focusing attention on the stones, sand, waves, sky and light. This exhibition will be the first major exhibition of Mike Perry’s work in a public gallery in the UK. 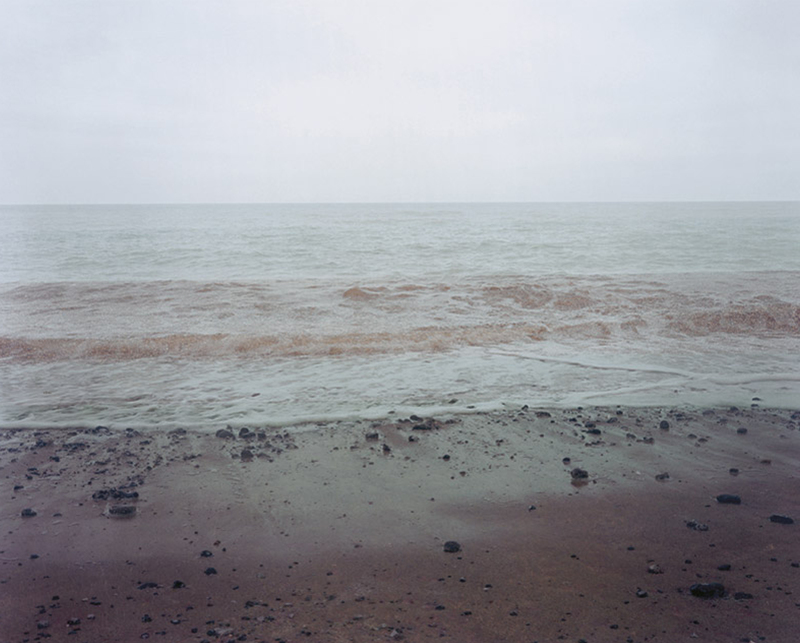 Perry’s approach and choice of subject reflects a revived interest in artistic interpretations of British landscape, a subject matter that has not, of late, been particularly fashionable. His focus lies apart from the romantic, metaphysical and realist traditions most associated with depiction of land and sea. Perry’s fascination is with the actuality and understatement of his subject. 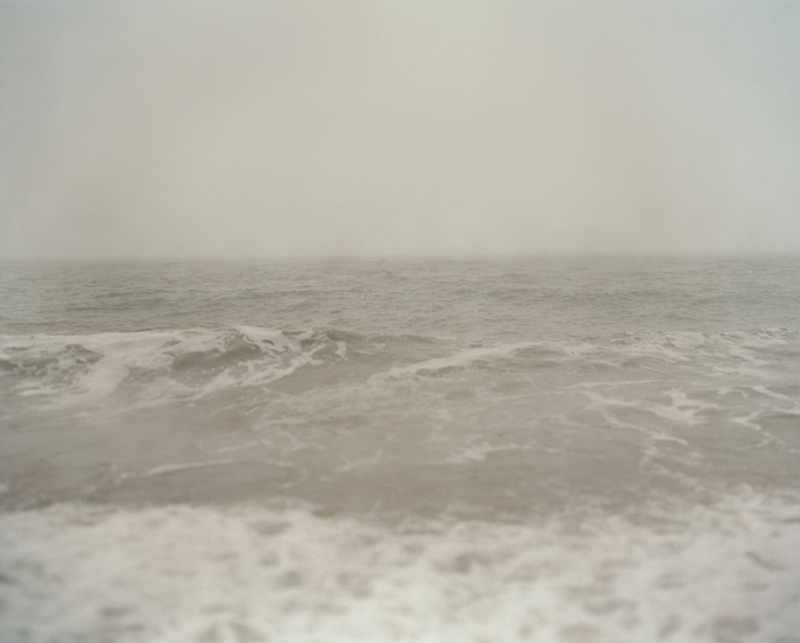 Through his seemingly quiet exploration of the environment he manages to free the seascape from expectations of significance and provoke in the viewer a contemplation of the scene in it’s natural beauty. 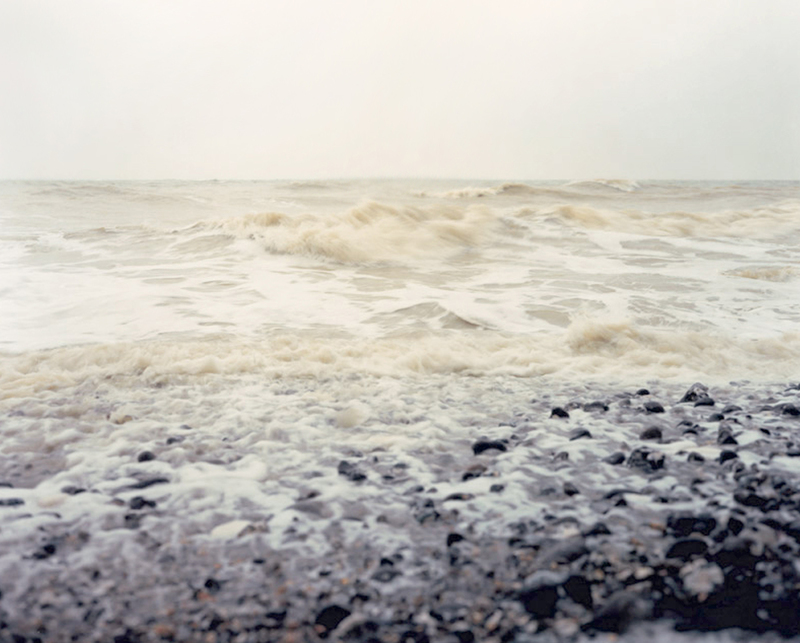 Shot using a 10×8 large format camera, uncoated lens and plain Kodak film stock, Perry is able to capture the neutral, muted colours of his subject and does not employ digital manipulation to alter contrast or hue. 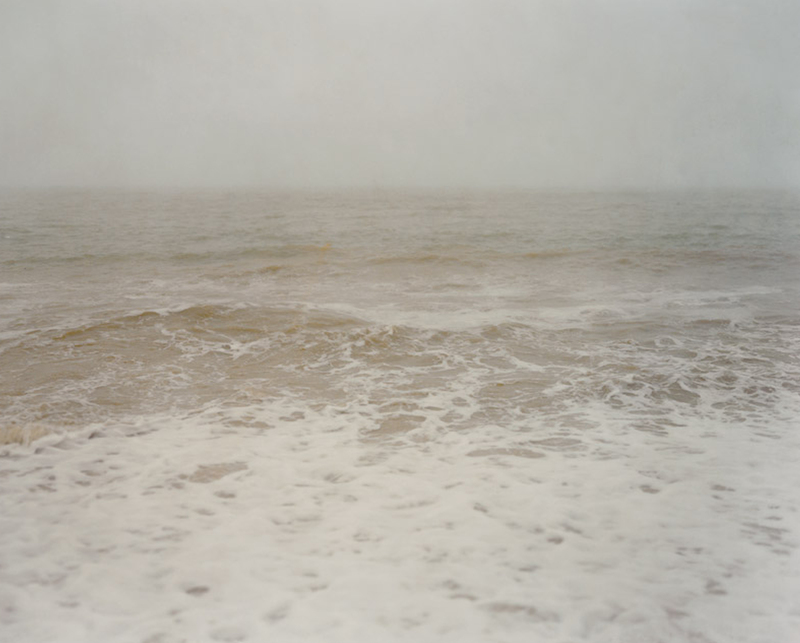 His compositions achieve an almost painterly quality which lend tenderness and dignity befitting the coastline he has chosen to photograph. 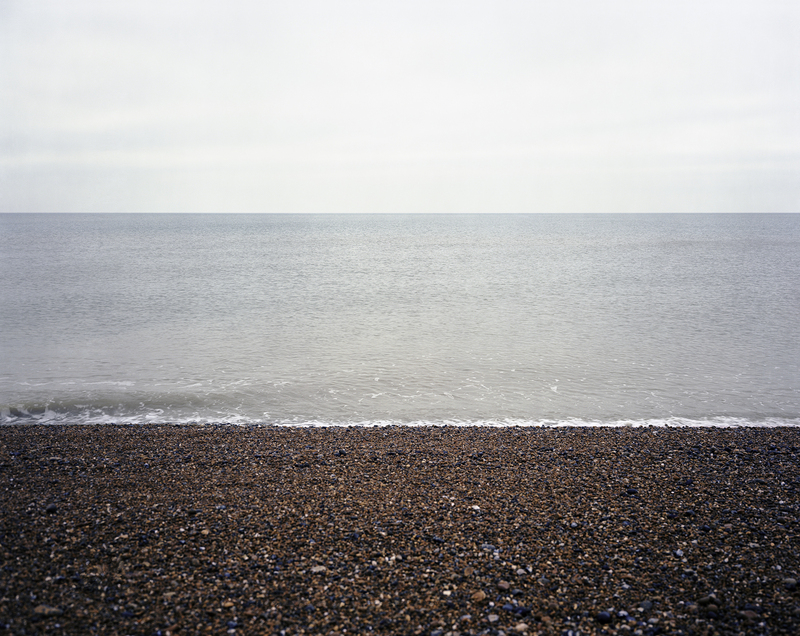 Presented as a series, Beach establishes a rhythmic context in which repetition invites a meditative response. Similarity and difference between images are accentuated through a tightly constructed grid-like composition, reminiscent of modernist abstraction whilst remaining resolutely documentary. The scenes draw the viewer in with a gentle intensity to convey a sense of the infinite and the whole.